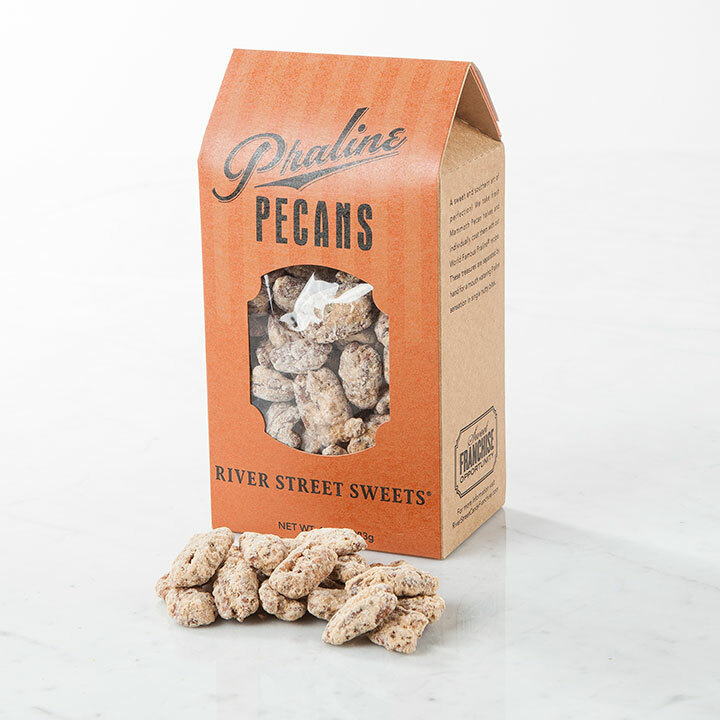 Praline Pecans are the bite sized praline coated pecans you've been craving! 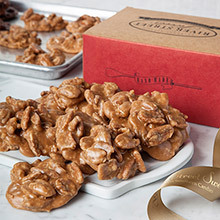 I sent a surprise gift of the praline pecans to my sister. She was delighted with them! 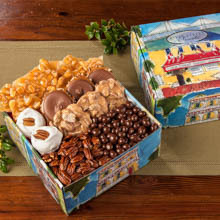 They are fresh, delicious and arrived in a cute container. Great delivery on schedule! This was my third order (2 Christmas gifts) and it won't be my last. 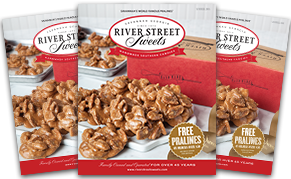 I recently sent a bunch of River Street Sweets as a thank you gift and the recipients LOVED them. I ordered online and the process was simple and I received frequent and timely shipping updates and tracking information. 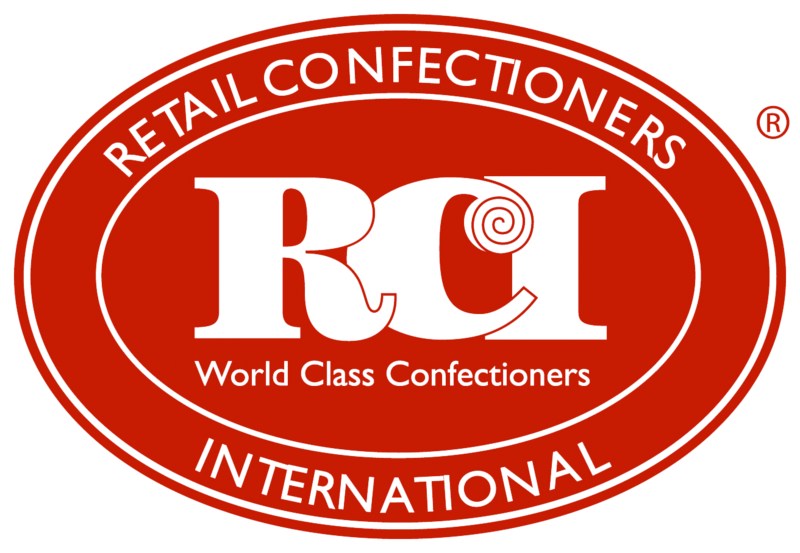 Nice for a sweet treat! Hard to stop eating them! Good size to not over indulge.